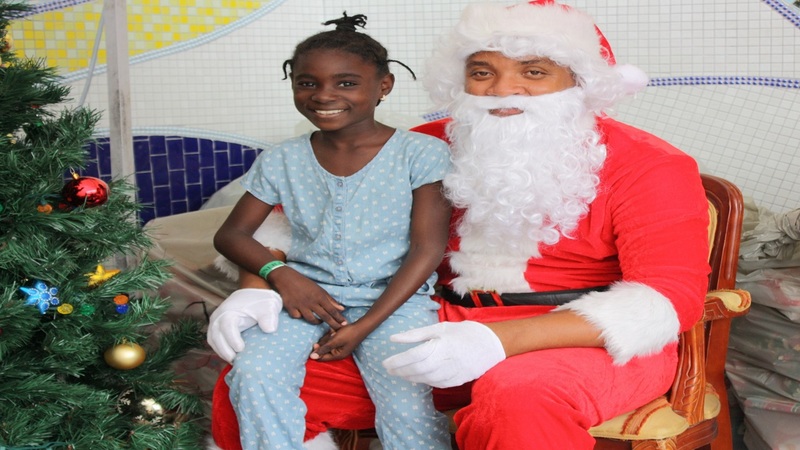 Some of Jamaica’s leading singers and deejays entertained residents of the Sir John Golding Rehabilitation Centre in St Andrew at a treat organised by Headline Entertainment last week. 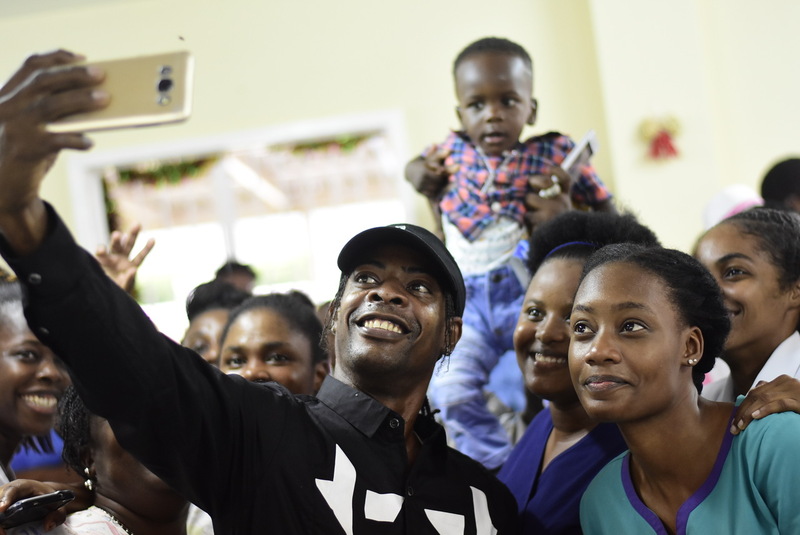 The physically challenged residents got the opportunity to participate in fun activities with artistes such as Devin Di Dakta, Mr Lex, Shenseea and Chi Ching Ching. 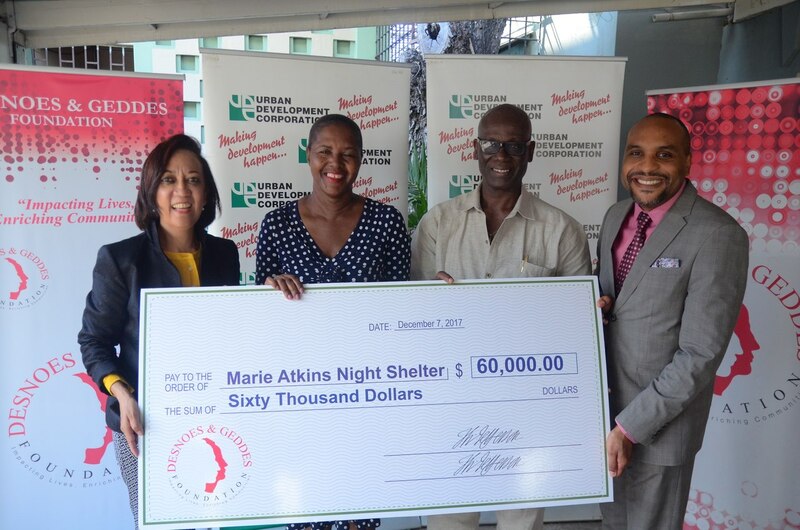 Headline Entertainment's staff and management also did carolling with performances from some of the artistes, who also helped with various items that were donated to the facility, with fast-rising Shenseea giving a washing machine. Director of Headline Entertainment, Carlette DeLeon, said the Christmas treat has been a yearly sojourn by the company, since Managing Director, Jerome Hamilton, visited the facility while attending the University of the West Indies more than 20 years ago. DeLeon said, "it is incredibly important to the institution. We are very close to the matron and to the doctors and such, and I think that they appreciate our efforts and we certainly appreciate what they are doing for the society. "We try to not just hand over money. We try to find out what their needs are and then find a way to fill those needs. It is Christmas now so everybody needs love and we are happy to share the love," DeLeon said. Apart from the washing machine, among the things that were donated this year, are toiletries are and sheets. 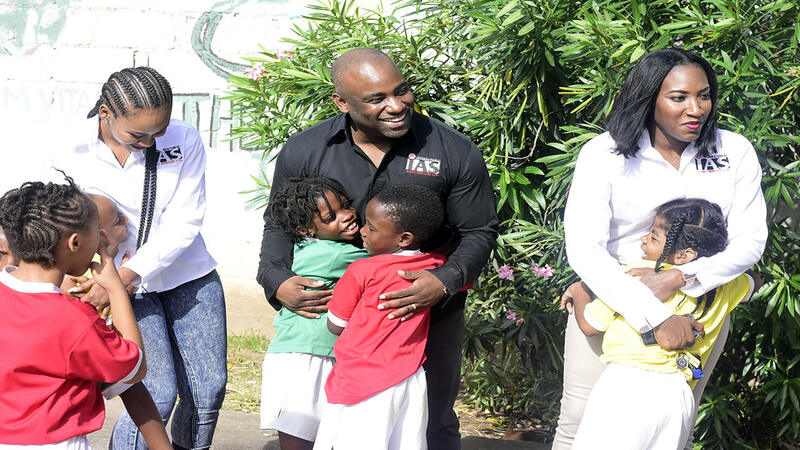 Andrea Christie, Director of Nursing Services at the Sir John Golding Rehabilitation Centre, said it is a welcomed treat for the residents of the facility and was pleased with the effort by Headline Entertainment. “Persons or charities coming in to entertain our patients, allow them to be appreciated because at times they get despondent and sometimes feel hopeless, because they have lost their independence. So this is a very welcoming activity, especially for children in this time of giving,” Christie said. Nellie Scott, the Supervisor and House Mother for the children, said, "Jerome is always looking out for us. It is not just Christmas treat, back-to-school and all of that - bag, books, pencils and money sometimes - and he really sets the children up. He is always here and if we are in need of anything we can call him." 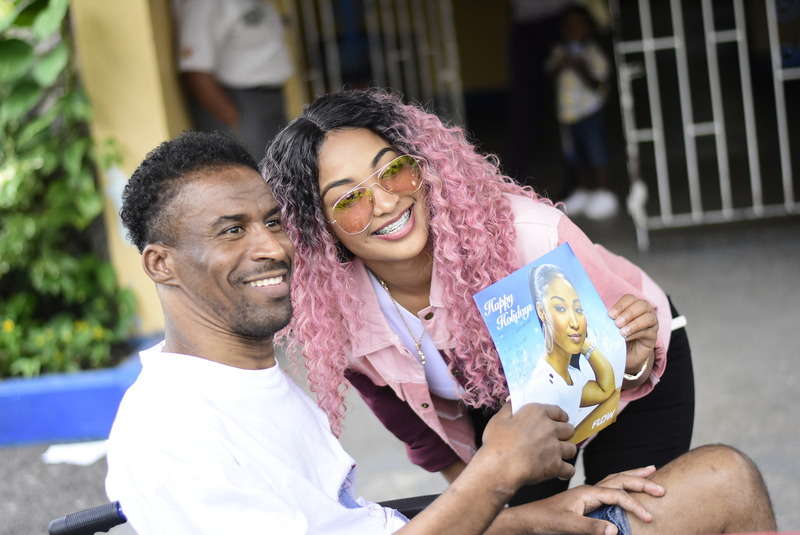 Entertainers Shenseea and Mr Lex said that once they were asked, it was a done deal, especially for the former, who went to Hope Valley Experimental, with a number of patients at the Sir John Golding Rehabilitation Centre attending as the two facilities are next door to each other. “My primary school was Hope Valley Experimental and it was right across there. I used to run up and down over here and swim in their pool as I used it for a shortcut,” she said. "I heard that they wanted a washing machine to wash the children's clothes and all that, so it was nothing too hard for me to really help them out with that. It felt good. It is my first time actually donating something this big, especially to a place that I know is really in need. I will be doing a lot more," Shenseea said. For his part, Mr Lex said he’s always participating in acts of kindness. “From its a good deed I am in it. People are who support me, so I have to give back when it is time to give back and it is Christmas so giving back is a good thing and always a big part of my career,” he said.